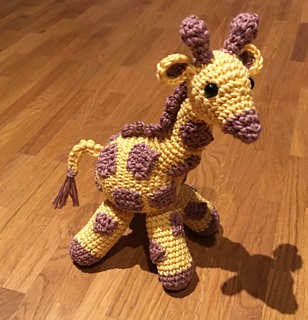 This is a crochet pattern for a stuffed giraffe toy animal. It is beginner friendly. 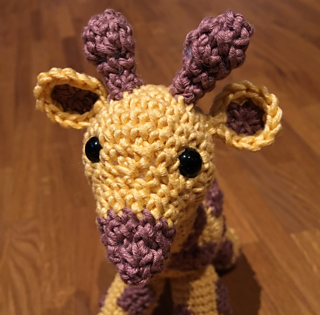 This is the first pattern I’ve ever designed (I’ve been crocheting for about 6 months now). Please give me feedback! Yarn: Drops Muskat Color 09 Light-brown (50g, ~109 yds) only 1/2 of skein needed.